In this guest post, Lawrence Ching from Sage One add-on partner BookingBug takes at look at some of the useful digital tools available to help get service businesses marketing and selling online. Whether you run a beauty business, a driving school, plumbing business or bed and breakfast, in order for a modern service business to keep up to speed with the fast-evolving digital age, it’s imperative to have a strong and well-organised online presence. This is something e-commerce businesses have become very good at – however, service businesses are still lagging slightly behind when it comes to making the most of the web. Thankfully, there are now a plethora of useful tools out there that can help you manage and market your business online spanning the whole customer interaction journey. Your service business needs an online shopfront, just like it needs a physical base. Having your own website is like having a central headquarters for your online presence. However, building your own website from scratch requires a lot of resource, whether that be doing it yourself or hiring someone to do it for you. Simply put, it’s a task that demands significant technical capabilities, time and cost. This is where slick website building tools, such as 1&1, Moonfruit, and Squarespace can help, for little or no cost. Using one of these platforms gives anyone the ability to quickly and simply create and customise a great looking website for their business, with all the content and features your clients expect to see. Once you have a website, it’s time to make some noise about it. You want people to be able to find or stumble upon your site, just like you’d want them to reach your storefront, so it’s important to create effective marketing for you services. Google Places is a great way to ensure potential customers searching for services online find your business over your competitors. MailChimp is a great way you can build and manage email marketing campaigns – ideal for finding new clients, and retaining or upselling existing ones. If you run a growing business, social networks simply can’t be ignored as a customer engagement tool. Any service business without a social online presence is missing out on a huge opportunity to communicate and interact with current and potential clients. Don’t try and do everything all at once, but identify the networks where you customers spend their time, and focus your efforts there. A centralised management app such as Hootsuite could prove useful in managing your social networks as efficiently as possible. 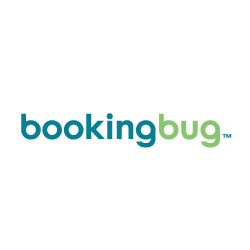 As a business that provides services to your customers, a booking system (such as BookingBug) can be one of the most important tools to employ on your website. This can effectively and efficiently organise and sell your services to customers online, just as any ecommerce site should. It not only allows you to display your services, availability and let your clients make their own booking with you, it can also automate much of the laborious admin work associated with running a service-based business, leaving you free to focus on what you do best. The whole purpose of getting online is to extend the reach and accessibility of your service business. Once you have a website and you’re taking bookings online, you’re going to want to set up a payment system as well. Taking payments or deposits online is a great way to reduce no-shows, and ensure that people attend their appointment or booking when they should do. There’s a whole host of online payment providers out there that cater for small and mid-sized businesses (including Sage Pay) that will integrate directly with your online booking system. And if you’re a mobile service business, why not think about a mobile payment provider (such as iZettle) that will let you take face-to-face payments directly through your smartphone? As with all digital tools, the key to managing your cashflow online is automating as much of the administration as possible. This is exactly why BookingBug has integrated with Sage One to ensure that all online booking and payment information is entered automatically into your businesses Sage One accounting solution.